When most people think of skylights, the image that usually springs to mind is one of a leaky square hole in the ceiling that lets out more air than it keeps inside. 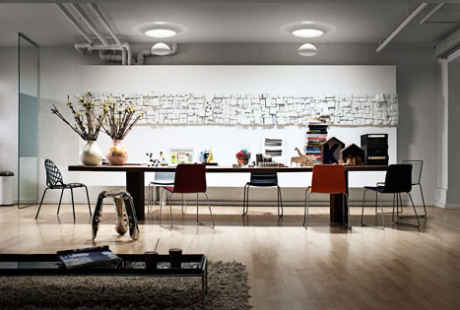 But what if we were to tell you that skylights can not only look good but they can also help increase energy efficiency, reduce electricity costs, and encourage passive heating and cooling? And not just that, but that skylights can also contribute to healthier living? Read on! 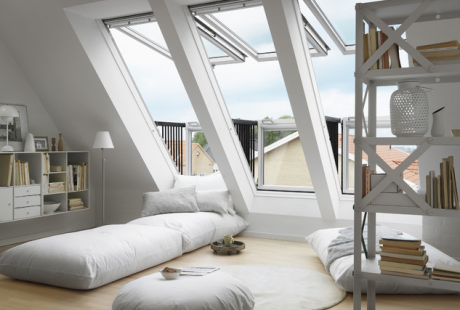 A properly installed skylight or roof window (defined as a skylight that is within reach) can help reduce heat loss, which is necessary in winter months. During the same season, shorter days mean less light, so a skylight can help provide increased daylighting before the sun goes down. 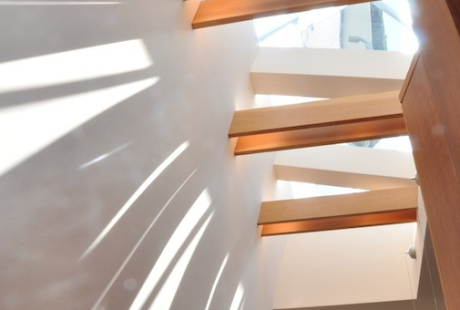 Naturally, increasing the amount of natural light a space receives means lowering your reliance on artificial lighting, helping to keep those electricity bills down. 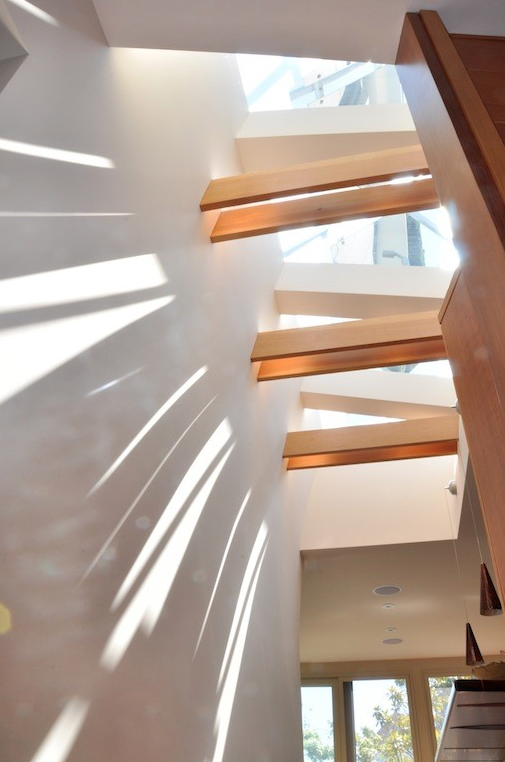 From a design perspective, experimenting with skylight orientation and architectural details can produce dramatic lighting and shadowing effects. Passive solar gain can be a double-edged sword, but if orientation and exposure are carefully considered, skylights and roof windows can help to warm spaces in winter. 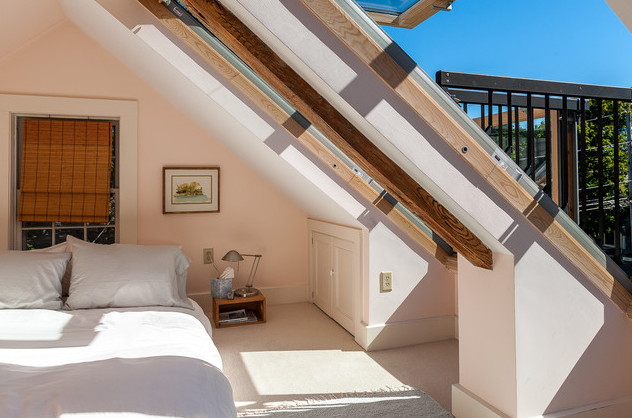 For homeowners looking to reduce heating costs in the winter, consider a south-facing skylight. 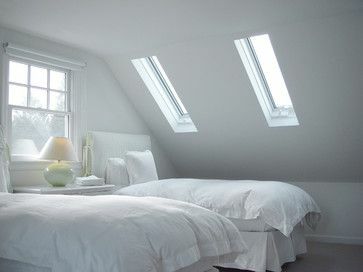 Any rooms with south-facing skylights should be protected during the summer through the use of shades. 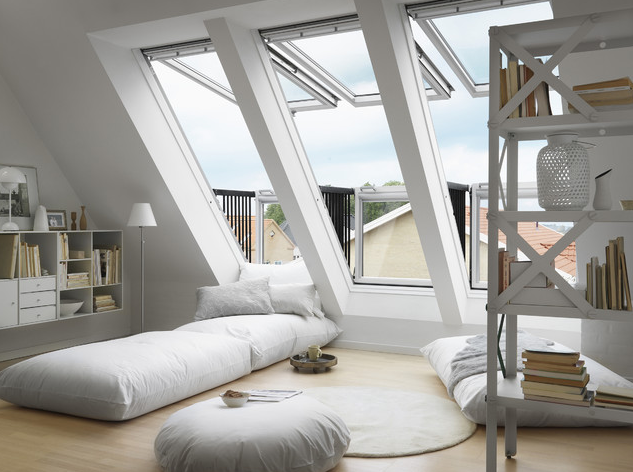 Operable skylights can help facilitate passive ventilation by allowing hot air to escape as it rises. This helps keep homes cool during the summer and reduce reliance on artificial cooling. Natural light can be used to illuminate spaces that are either dark or require privacy, such as bathrooms. Solar tubes or sun tunnels are an inexpensive and effective option to consider in these cases. These cylindrical skylights use internal mirrors to reflect sunlight into a home. Rooms that make great use of solar tubes are closets, bathrooms, narrow hallways, laundry rooms, offices, and studios. In addition to all of the measurable benefits of using skylights in your home, using natural light to brighten up spaces makes for healthier living. An increased exposure to daylight can lead to better mental health for family members, especially during short winter days. 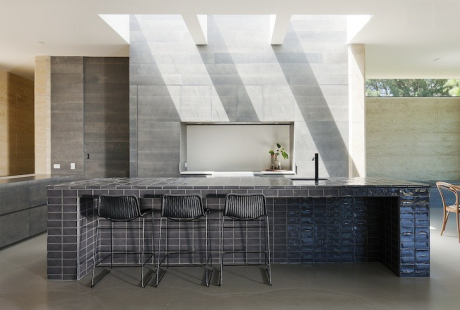 Issue like Seasonal Affective Disorder affect many people, and while there isn’t much we can do to make winter shorter, we can make thoughtful home design decisions to increase the amount of natural light in our homes.